Always go the extra mile: When I started on the railroad, my job was the lowest of lows. I was literally in 100 degree weather, bent over, pushing a pushcart and pulling up spikes. I realized I had the worst job on the railroad. The best job was running the equipment; you’re out in front and making more money. I knew that’s where I wanted to be. I started volunteering after work to help the workers drive to the next location and learned how to drive the equipment. One day, someone didn’t show up for work and they needed someone who knew how to work the equipment, and I did. It really doesn’t matter where you start, if you have that drive you can get there. I had the pleasure of interviewing Gary Findley, the self-proclaimed “Redneck CEO”. 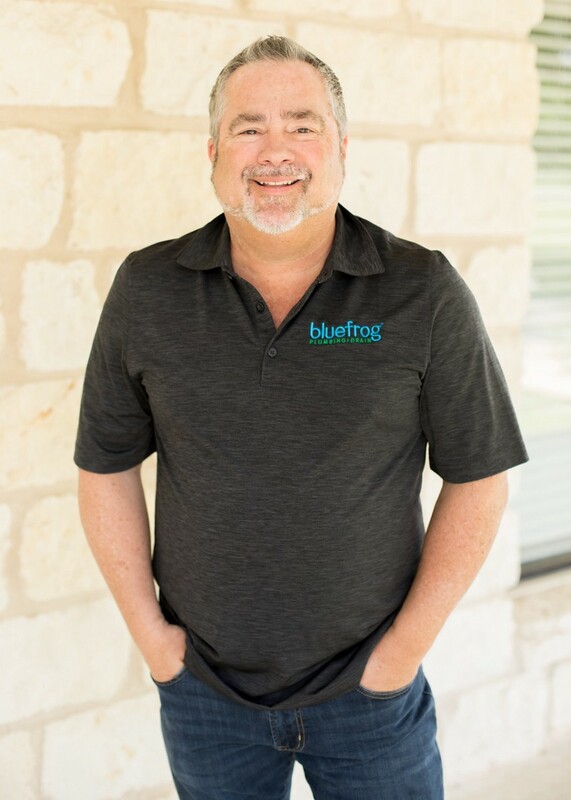 Gary oversees one of the fastest-growing multi-brand franchise chains — Restoration 1 and bluefrog Plumbing + Drain. Both headquartered in Waco, Texas, Restoration 1 is an award-winning brand with more than 200 locations, while bluefrog, acquired last year, serves as the perfect complement to Restoration 1. I grew up in a small, rural town in Texas. I worked for a farmer for years, driving combines and building fences. We learned a very strong work ethic, which followed us in every endeavor. In football, we had to play offense, defense, kicking team, punting team and I’m not making this up, we had guys who took their shoulder pads off at half-time and marched in the band. You had to make things happen. If I was running a combine, and it broke, I couldn’t just turn to YouTube. After high school, most of my friends wanted to go to college, but I just wanted to make money so I joined the railroad. After working on the railroad for a while, I decided to open my own health club on Baylor University’s campus in Waco. Things were going great until Baylor opened up a facility of their own for students, and parents no longer were willing to pay for their students’ memberships. They repossessed our building, and I went bankrupt and lost everything. When offered a steady VP of franchising position, I turned it down to take a risk on an idea called “Curves”, a women-focused fitness club franchise. Eight years later, the business had grown to over 8,000 units around the world by the time I left. I’ve always loved franchising, and after Curves, I knew I wanted to stay in this type of business, and took over the Restoration 1 franchise network, and in 2017, we acquired bluefrog Plumbing + Drain. Growing up we were taught that when life gets hard, you just have to keep moving forward. Even from an early age, I was deeply committed to anything I put my mind to. When I was 15 years old and part of the Future Farmers of America (FFA), I had a dream of raising the next grand champion cow. I woke up every morning and worked with my cow. We won that year, and I was so proud. That moment shaped my life because I proved to myself that as long as I put in the hard work, I could accomplish anything. When things get hard, I look back on moments like that. It takes hard work and dedication to get you where you want to go. I’m not a quitter. Once I put my mind to something, I don’t stop until I’ve reached my goal. And once I reach a goal, I set a new one. This has been good for my life, and good for my businesses. If I gave up every time things got hard, I would never be able to accomplish anything. Nothing beats seeing your hard work pay off. Things are going great. My businesses are consistently growing in numbers, reaching new states and serving communities nationwide. Take the risk even if there’s no guarantee it will work: Curves is the perfect example of this. When my buddy called me with the idea, we had no idea if the business would be successful. I stepped out on faith, and eight years later, it was 8,000 units when I left. I decided to take the risk with him, and luckily, it paid off. When life gets tough, pick up your bootstraps and keep moving: Going bankrupt was one of the toughest things my family and I have ever dealt with. But we refused to let this setback keep us from moving forward. Instead of dwelling on the past, use that failure as a lesson learned. And you never know where one path may lead you. If we didn’t go bankrupt, I may have never had the opportunity with Curves. Always use the God-given talent that you have: Nobody is good at everything, but we’re all good at something. I love being an entrepreneur, growing businesses and helping those be put on a path to success. That’s why I started the Findley Group. I knew it was the best way for me to help people find their niche in franchising. Surround yourself with good people: I don’t think I can say this enough. You want people in your life that will challenge you, help you grow, but also be there when times get tough. My family is the best example of this. No matter the hardships, they were there for me, and vice versa. I’m thankful for my wife. We’ve known each other our whole lives and she’s been a part of my journey from the very beginning. When I went bankrupt, she never lost faith in me. And when I took a risk on Curves… she still stuck by my side! If it wasn’t for her, I know I wouldn’t have been able to achieve these great milestones: growing Curves to 8,000 units and now growing Restoration to 200 locations in two years. I believe we go through everything for a reason, and with that, I believe I should use my past experience to help those future entrepreneurs. With 25 years in franchising, I decided it was time to give back so I started the Findley Group — a consulting firm to help those on their entrepreneurial journey. If I can help someone find success through my failures, then that’s enough for me. Right now I’m focused on growing my businesses as we continue to serve communities nationwide, especially after disasters like Hurricane Florence, Hurricane Michael and the California wildfires. Multiple franchisees have brought their services to those in need. In our business, we like to look at the bigger picture. How can we grow? How can we be more than just plumbers or restorers? What does the next step look like? We focus on strong systems, valuable training, comprehensive marketing and inviting the right franchise partners into the network so we’re able to efficiently respond and expand our services to those who are in need of help. The best advice I can give is treat people the way you would want to be treated. In my experience, when a conflict arises with someone, I get on the phone with them and I go see them. I strive to immediately resolve issues because most of the time, people just want to vent. You have to allow yourself to see a situation from their perspective. This has allowed me to build relationships with my employees. They aren’t afraid to talk to me when a problem comes up. We work together, and it encourages us all to keep working hard. Every person is responsible for their own success. It has become so convenient to blame others for failures. True success is not merely based on wealth, that can certainly be part of success. What do others see when they look at you? Do they see that your honest, that you treat others better than yourself, that you are a person that others gravitate towards, that you give others the credit instead of yourself, that you do everything to the best of your ability, and above all you never compromise your integrity no matter the circumstances. The legacy we leave to those around us will be the true test of success in our lives. “What you vividly imagine, ardently desire, sincerely believe and enthusiastically act upon must inevitably come to pass.” — by Paul Meyer. I used to read this quote everyday when I would pick up my wife from work, and it made a huge impact on my life. Paul wasn’t the educated person, but he had a vivid imagination, desire and a strong belief system — something I admired, and always strived to replicate in my own life. You can follow my twitter account @TheRedneckCEO.